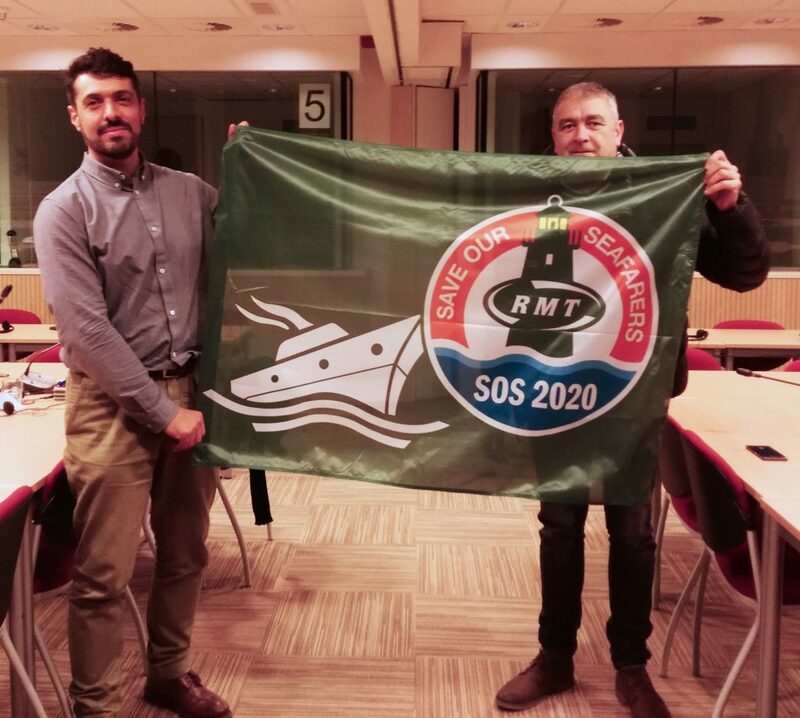 The UK National Union of Rail, Maritime and Transport Workers (RMT) is running a national maritime campaign called SOS2020, providing a significant contribution to the ETF Fair Transport and Fair Shipping Campaigns. The SOS2020 campaign is fighting against social dumping in UK shipping. Many UK seafarers, especially ratings, are facing more and more unfair competition which causes downward pressure on their pay and conditions. In this sense, the campaign’s actions aim to obtain equal rights for seafarers as for onshore workers. They also demand protection for UK crew onboard UK Ship registered vessels operating in national waters. Finally, the campaign is promoting a statutory annual training target for new UK ratings, and higher and enforceable safety standards in UK shipping. RMT affiliates have been demonstrating in ports and harbours and received significant cross-party political support from MPs and MSPs, with regular questions and motions in the Scottish, Welsh and UK Parliaments. These actions have resulted in several wins. The shipping company Seatruck, for example, which was paying below the RMT Collective Bargaining Agreement and national minimum wage (NMW), was stripped of crewing responsibilities for freighters chartered under their public-sector ferry contract. The campaign has obtained a commitment from the UK Government to apply and enforce the NMW for seafarers working between UK ports and on one-port voyages on the UK Continental Shelf. The Labour Party (Official Opposition in the UK Parliament) has committed to reforms to end nationality-based pay discrimination.